شاهد القائمة الكاملة لكافة المسرحيات الموسيقية في وست إند بلندن، اعثر على ما تفضله من عروضنا أو من قائمة الأكثر شعبية أو القائمة الشاملة للمسارح. المسرحيات الموسيقية التي تعرض في وست إند. المسرحيات الموسيقية التي تعرض في وست إند بلندن حاليا. Only Fools and Horses the Musical brings the iconic and much-loved comedy to life once more, through an ingenious and hilarious original score. 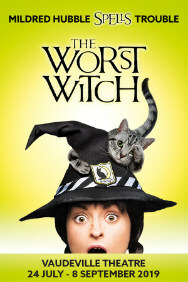 Then book your tickets today - Only a forty-two carat PLONKER would miss it! "وور هورس" (حصان الحرب) هي قصة حب حقيقية بين رجل وحصانه أثناء الحرب العالمية الأولى. تباع التذاكر لمسرحية حصان الحرب في لندن هنا! Make it a magical Christmas with Irving Berlin’s WHITE CHRISTMAS. A timeless romantic comedy to warm hearts of all ages, WHITE CHRISTMAS features the classic songs Blue Skies, Sisters and the most famous festivesong of all...White Christmas. Discover the remarkable true story of a small town that welcomed the world. As it continues sold-out, record-breaking engagements on Broadway, across the USA and in Canada, Come From Away will land for its UK premiere at London’s Phoenix Theatre from January 30, 2019. Book online today & secure your tickets! & Juliet is the fun-loving new musical that asks: What if Juliet’s famous ending was really just her beginning? This is Juliet’s story now. Don’t tell her how it ends. 1965. A new phenomenon erupted out of London’s East End. It was the essence of all that was cool. It was Mod. 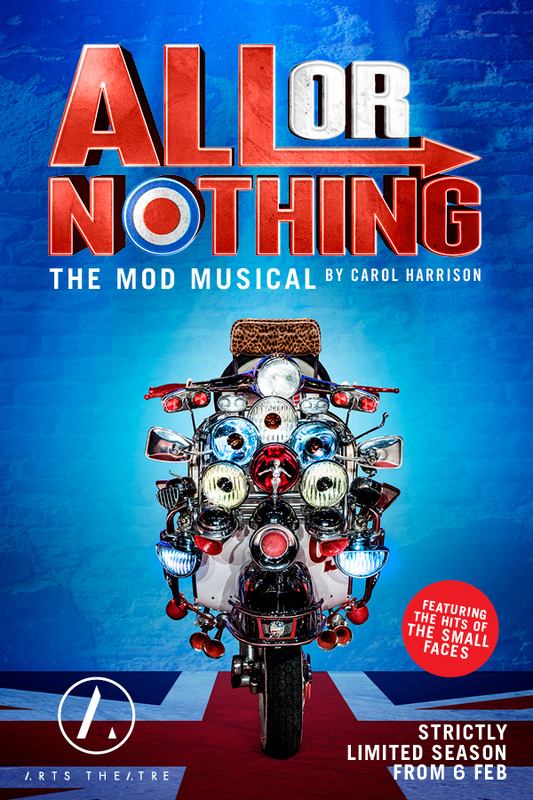 All Or Nothing– The Mod Musical is a unique blend of taste and testosterone, clothes-obsessed and street-wise – but most of all, a dedication to rhythm ‘n’ blues. تعرض المسرحية الغنائية "ليون كنج" في لندن وهي حفل موسيقي للعائلة من ديزني على موسيقى إلتون جون. اشتر تذاكرك لعروض "ليون كنج" في لندن من هذا الموقع! فانتوم أوف ذا أوبرا" (أو شبح الأوبرا) المسرحية الموسيقية الأولى بين جميع المسرحيات الموسيقية، تحفة اندرو لويد ويبر. تباع تذاكر شبح الأوبرا في هذا الموقع. تعرض المسرحية الموسيقية "ويكيد" الآن في لندن، تروي قصة سبب تحول ساحرة "أز" إلى ساحرة شريرة.. اشتر تذاكر العرض المضحك والرائع لمسرحية برودواي من هذا الموقع! On Your Feet! is the inspiring true love story of Emilio and Gloria and charts their journey from its origins in Cuba, onto the streets of Miami and finally to international superstardom. 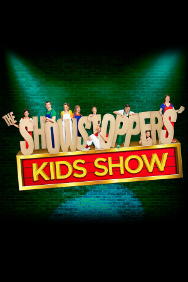 The smash-hit musical comes to London direct from Broadway for a strictly limited season. Book your tickets today! Striking a remarkable chord with audiences and critics everywhere, DEAR EVAN HANSEN is a six-time Tony Award®-winning musical about life and the way we live it. Book now! "لي ميزرابل" (أو البؤساء) هي أحد أشهر المسرحيات الموسيقية في العالم. تباع التذاكر المخفضة لعروض المسرحية الموسيقية في لندن في هذا الموقع! Jamie New is sixteen and lives on a council estate in Sheffield. Jamie doesn’t quite fit in. Jamie is terrified about the future. Jamie is going to be a sensation. 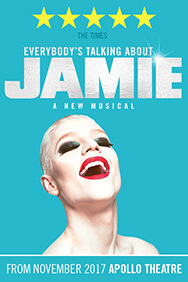 This fearless, funny, fabulous brand new musical sensation is inspired by the 2011 BBC Three documentary Jamie: Drag Queen at 16. 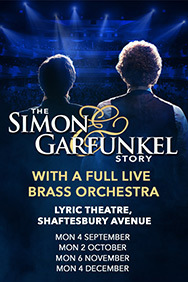 Book tickets today! 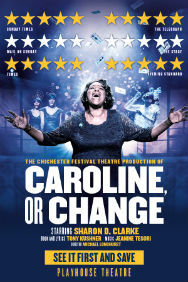 Don’t miss the extraordinary and joyously original Musical Caroline, Or Change. 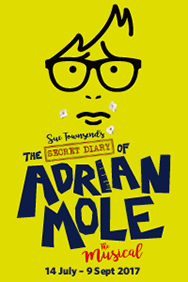 This five-star, Olivier award-winning musical transfers to the West End this November. Enjoy Stephen Sondheim and George Furth’s musical Company about life, love and marriage. 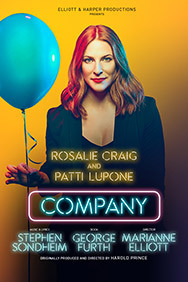 Elliott & Harper Productions present this iconic musical comedy with the lead role of “Bobby” re-imagined for the first time as a woman. Book your tickets online today! SIX, ‘the most uplifting piece of new British musical theatre’ is the phenomenon everyone is losing their head over! Critically acclaimed across the UK with a sound-track storming up the UK pop charts, the sell-out intoxicating Tudor take-off is back! Get your hands on the coveted tickets here! 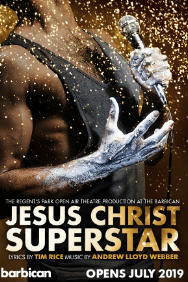 Jesus Christ Superstar returns to London in a powerful new production directed by Timothy Sheader. 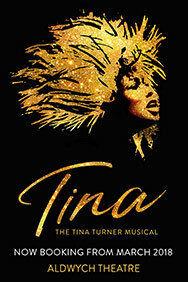 Book your tickets now to this legendary musical set in Regent's Park Open Air Theatre in London. "ثريلر" نزهة السير على القمر في إيست إتد لندن. تباع تذاكر "ثريلر" هنا في لندن! احتفل بملك البوب -- مايكل جاكسون. 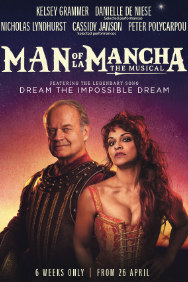 Enjoy Kelsey Grammer in the lead in this semi-staged concert production of Man of La Mancha in London's West End. It's the famous story about Don Quixote and as his faithful servant Sancho Panza. Get your hands on the coveted tickets for Man of La Mancha here! Don’t miss the London premiere of the six-time Tony-winning musical THE LIGHT IN THE PIAZZA as it lights up the Royal Festival Hall for four weeks only. 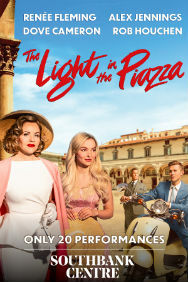 Book your tickets for The Light In The Piazza in London here! A new production of Andrew Lloyd Webber and Tim Rice’s multi-award winning musical Joseph and the Amazing Technicolor Dreamcoat is returning to The London Palladium in summer 2019 for a strictly limited run! 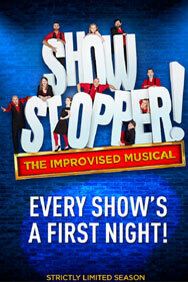 Get your hands on the coveted musical tickets here! 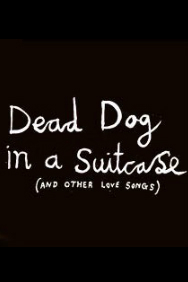 Based on the Beggar’s Opera, John Gay’s classic musical satire, Dead Dog in a Suitcase (and other love songs) is busting with wit, wonder and weirdness. Book your tickets here! Old traditions and young love collide in this joyous and timely celebration of life. The classic Broadway musical Fiddler on the Roof transfers to the West End for a strictly limited run. Book your tickets here! Pour yourself a cup of ambition, and head on down to Dolly Parton’s new acclaimed West End musical! 9 to 5 the Musical is clocking in to the West End - with a strictly limited West End season at the Savoy Theatre. Get your tickets before your neighbor! 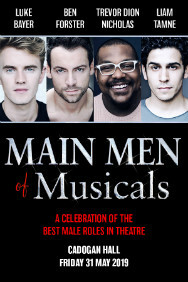 Main Men of Musicals is a celebration of all the best male songs in musical theatre history. 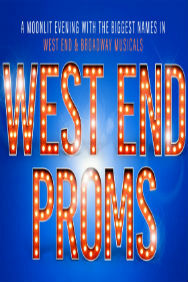 Boook tickets for Main Men of Musicals in London here!